"These are so quick to make and so tasty. They fill my sweet tooth needs and make great little snacks when I'm craving a sweet." 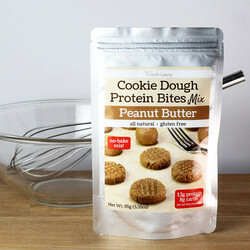 "Love these quick make protein bites for a peanut buttery snack. Easy to make, nice and moist. Great for a small treat." "Very good - pleased with my choice"
"Amazing taste and texture, easy to make, super macro profile, there is just nothing not to like here. Great product." "Soft, chewy, sticky &quot;cheat clean&quot; treats! They taste so good you can't even tell that they are &quot;healthy for you&quot;. Definitely help with sugar cravings, plus they are macro friendly! 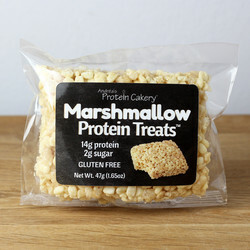 It's hard to find treats that taste great and fit within your macros and these Marshmallow Protein Teats do just that." "First bite was a little eh then you keep eating and they are delicious!! Hit my sweet spot without killing my macros!!" 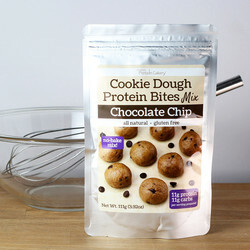 "These protein bites are awesome! They’re easy to make and delicious. Perfect after workout bite or quick on the go snack!" "Yummy will be purchasing in the future!!" "These marshmallow treats are great when you want to satisfy your sweet tooth without overindulging. I follow a specific macro plan and find the 14g of protein and 24g of carbs with barely any fats (and low sugar!) 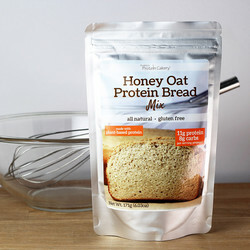 are a perfect snack post-workout." "These were extremely satisfying! Good crunch and chew just like a marshmallow treat. Just the right amount of sweetness." "They're just really good, tough not to eat more then one at a time!" Best pre mix on the market!!! "This is seriously one of the best things I have EVER eaten, my only problem was I wanted more!!! ;)"
"These things are addictive! If you enjoy healthy options and alternatives you will enjoy these. Get your protein and no diabetes! Lol." "The cookie dough bites are delicious. Great texture and lots of flavor. Really satisfied my need for a treat. Can't wait for more!" "The texture, flavor and sizes were right on. Makes a heck of a snack too." "I like them very good." "So delicious. Fantastic texture, flavor I love it!!! And easI'll digestible!" "Love your delicious, healthy treats." Awesome Box of Protein Chocolates!!! 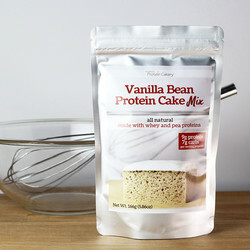 "A delicious V-Day gift for that special someone who enjoys a healthy lifestyle but still wants some chocolate! lol"